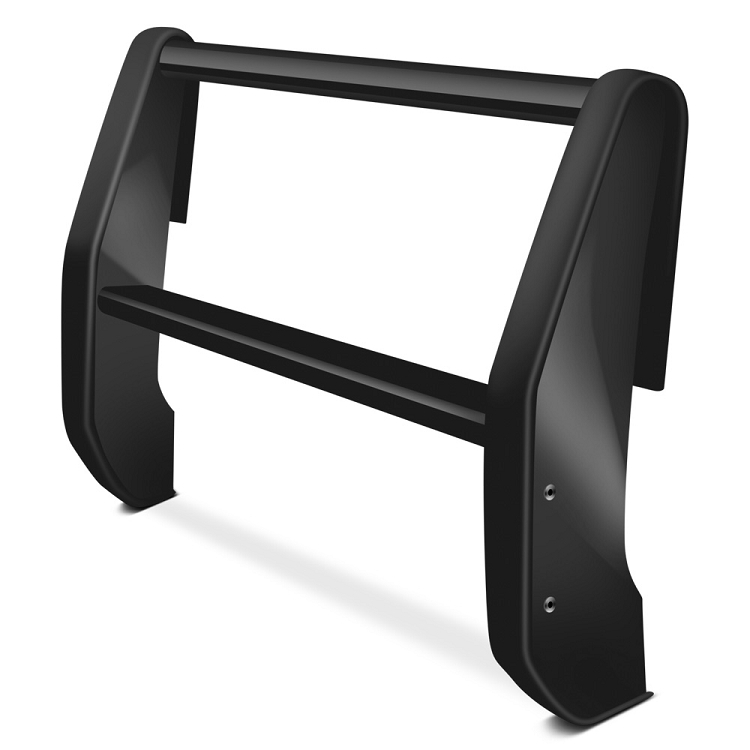 Black Police Push Bumper by SteelCraft®. The Pit Boss Police bumpers are made of the highest quality materials. Famous amongst many law enforcement and government organizations all over the world, the Pit Boss bumper is powder coated and painted with SteelCraft's unique electro coating process and are extremely durable to heavy duty service and corrosion. SteelCraft - Products	SteelCraft - Warranty	SteelCraft - About Features: One piece construction Strong thick metal uprights Black powder coat finish Easy no-drill installation 5-Year warranty To satisfy the most current police equipment requirements Pit Boss Police bumper has to be capable of handling extreme operation conditions. To provide strength and exclude weak points, this product is designed as a welded one piece construction. Its thick metal uprights are welded together with two steel bars for maximum pushing power. Each upright is covered in a protective rubber strip to maintain the powder coating also prevent damage to other objects when nudged. A durable powder coated finish layers the surface of the Steelcraft Police Bumper to keep it looking new. It provide an anti corrosive coating to prevent any rust or other corrosion to damage the bar. It also complements other black finishes on the car. The Steelcraft Police Bumper allows for trouble free no-drill installation into existing holes on the front of the vehicle. The Pit Boss Police Bumper is backed with a 5-year warranty against manufacturer defects and workmanship from the date purchased of the original owner. 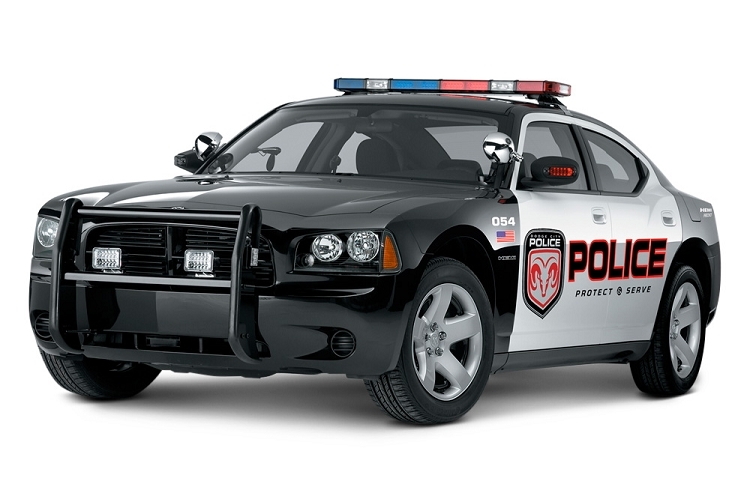 Black Police Push Bumper by SteelCraft®. The Pit Boss Police bumpers are made of the highest quality materials. Famous amongst many law enforcement and government organizations all over the world, the Pit Boss bumper is powder coated and painted with SteelCraft's unique electro coating process and are extremely durable to heavy duty service and corrosion. To satisfy the most current police equipment requirements Pit Boss Police bumper has to be capable of handling extreme operation conditions. To provide strength and exclude weak points, this product is designed as a welded one piece construction. Its thick metal uprights are welded together with two steel bars for maximum pushing power. Each upright is covered in a protective rubber strip to maintain the powder coating also prevent damage to other objects when nudged. A durable powder coated finish layers the surface of the Steelcraft Police Bumper to keep it looking new. It provide an anti corrosive coating to prevent any rust or other corrosion to damage thebar. It also complements other black finishes on the car. The Steelcraft Police Bumper allows for trouble free no-drill installation into existing holes on the front of the vehicle. The Pit Boss Police Bumper is backed with a 5-year warranty against manufacturer defects and workmanship from the date purchased of the original owner.